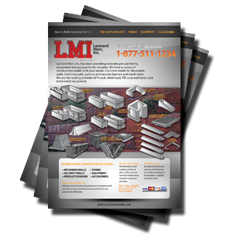 Leonard Marr, Inc. has been providing concrete pre-cast forms, equipment and accessories for decades. 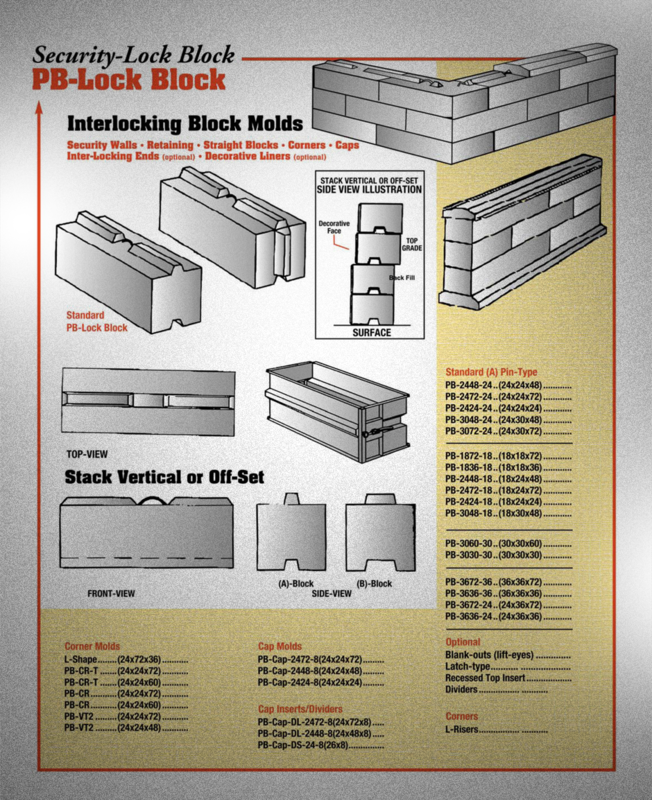 We have over 30 years of experience in the business and can help you get started in producing blocks for you quickly and affordably. 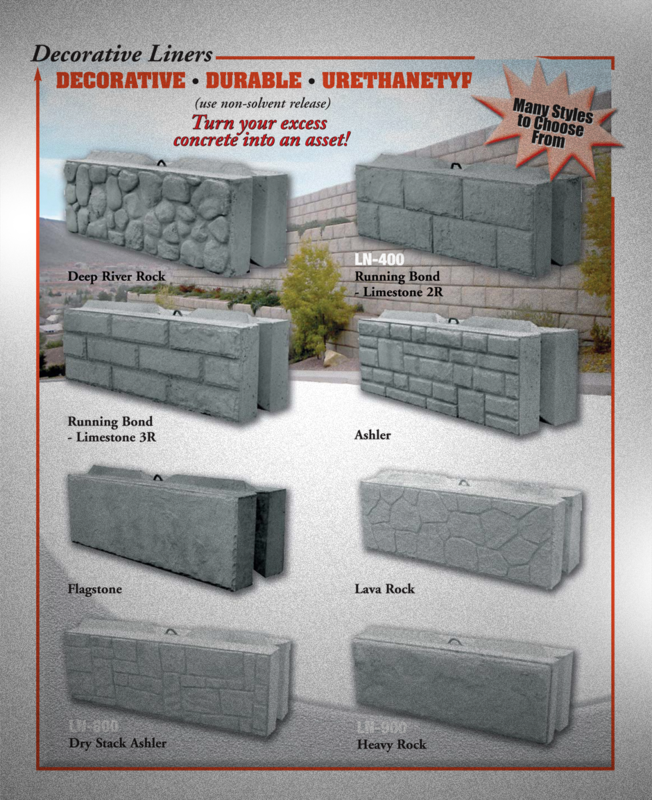 Whether its for landscaping, parking or other utility uses, we have the molds and accessories to get your job done. 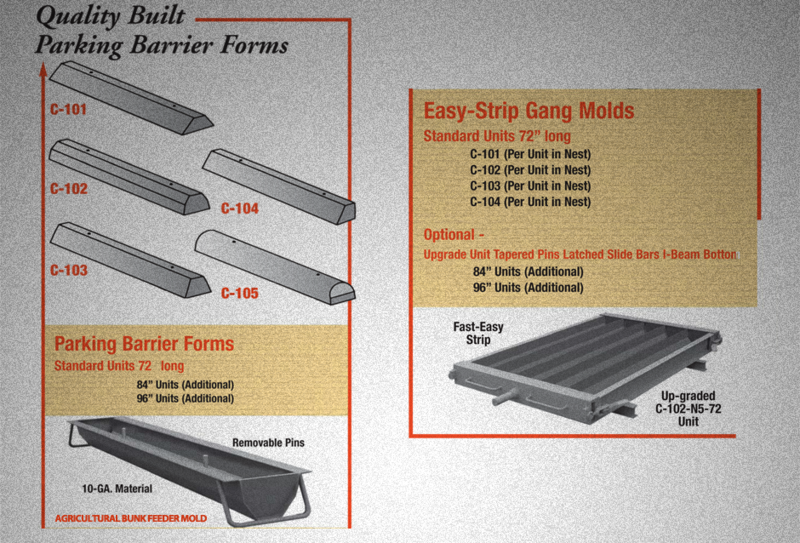 We take the hassle and save you time because our molds are designed for durability, reliability and ease of use. By producing precast concrete in a controlled environment, the precast concrete is afforded the opportunity to properly cure and be closely monitored by plant employees. 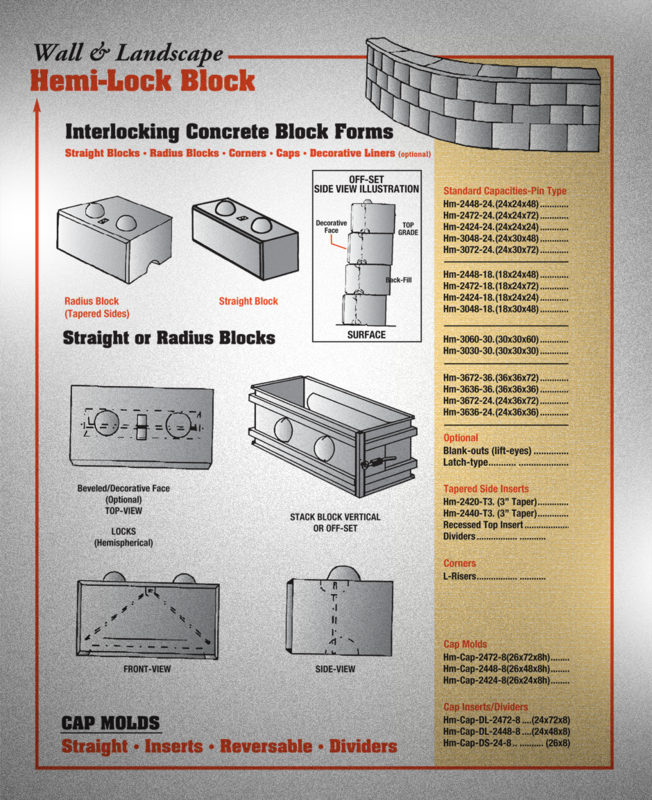 Utilizing a Precast Concrete system offers many potential advantages over site casting of concrete. The production process for Precast Concrete is performed on ground level, which helps with safety throughout a project. There is a greater control of the quality of materials and workmanship in a precast plant rather than on a construction site. Financially, the forms used in a precast plant may be reused hundreds to thousands of times before they have to be replaced, which allows cost of formwork per unit to be lower than for site-cast production. "These guys are the best! Period. 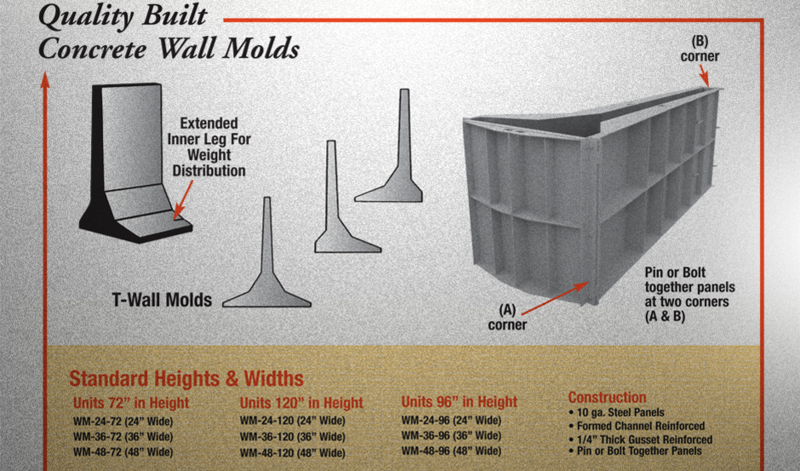 They saved me so much time AND money due to their expertise on concrete forms. Their quote was very competetive and I could not recommend anyone else for your Form and Pre-Cast needs."